Sony Electronics has introduced the α6400 its new inclusion to the E-mount mirrorless camera lineup. The α6400 boasts the world’s fastest autofocus (AF) acquisition of 0.02 seconds, and also brings the new advanced “Real-time Eye AF” and “Real-time Tracking” capabilities. It also includes high-speed shooting at up to 11 fps with AF/AE tracking. It comes with the new-generation BIONZ X image processing engine that produces excellent image quality, 4K video recording, a full 180-degree tiltable LCD touch screen and much more. The new a6400 features 425 phase-detection AF points and 425 contrast-detection AF points that are placed densely over the entire image area, covering approximately 84 percent of the image area. The Sony α6400 also introduces “Real-time Tracking.” This mode utilizes Sony’s latest algorithm including artificial intelligence (AI) based object recognition and processes color, subject distance (depth), pattern (brightness) as spatial information to ensure that all subjects can be captured with accuracy. 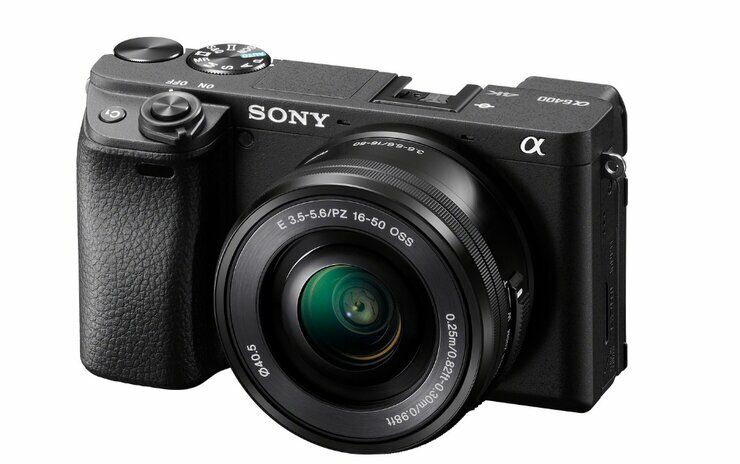 The Sony α6400 is equipped with a 24.2 MP APS-C sized image sensor that is paired with an upgraded BIONZ X processor. The Standard ISO ranges up to ISO 32000 for both still and movie and is expandable up to ISO 102400 for still images. It offers the ability to record 4K (QFHD: 3840 x 2160) movie recording with full pixel readout and no pixel binning to collect about 2.4x the amount of data required for 4K movies. The new model includes an HLG (Hybrid Log-Gamma) picture profile, which supports an Instant HDR workflow, allowing HDR (HLG) compatible TV’s. The camera can also record Full HD at 120 fps. It packs a 3-inch LCF flip screen with 921k-dots of resolution and is 180-degree tiltable. The Sony α6400 will go on sale from February 2019 at a price of $900 (Rs. 63,975 approx.). The kit with the 16-50mm F3.5 – 5.6 lenses is priced at $1,000 (Rs. 71,085 approx.). The kit with 18-135mm F3.5 – 5.6 lenses are priced at $1,300 (Rs. 92,410 approx. ).